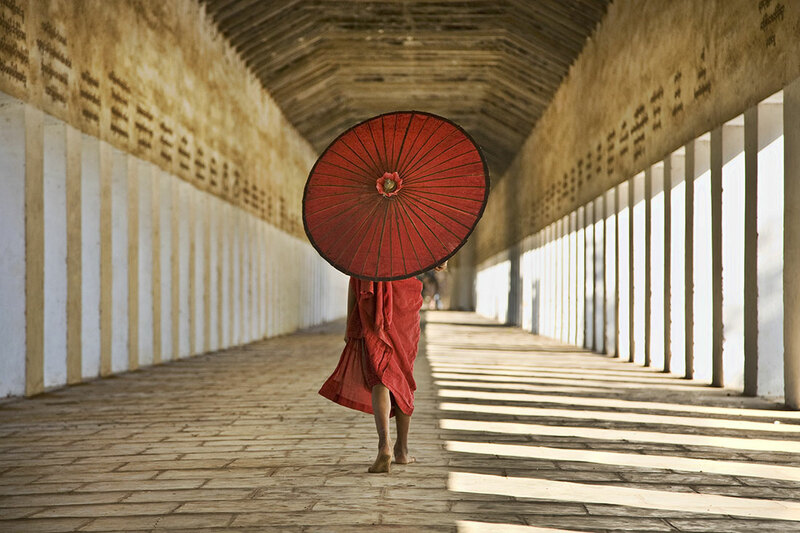 This two day workshop on June 7th & 8th, 2013 will explore techniques to capture better travel photography & more dynamic portraits whether at home or abroad. Morning and afternoon shoots will be taught in the unique setting of Sedona, Arizona on the first day and the second day will be Photoshop Tips, Tricks and Filter Magic in the gorgeous computer lab of Yavapai College. Understanding what can make an image really work takes more than just a point and shoot approach and this class will explore different methods and ways to capture your vision and master your camera. The class will cover locations, lighting, composition, lens choices, distracting elements and more while traveling. Using models, the class will also show various techniques for photographing people while traveling and how to capture intimate portraits in unique and powerful ways. Class size is limited to 12 people. 6 spots remain as of March 1, 2013. The previous day of the workshop, June 6th, will be filled with free activities & presentations for the entire day with other instructors and is limited to 125 people. Enrollment is available on a first come, first serve basis so if you enroll and find that you will not be able to attend, please call the Sedona Arts Center to cancel your enrollment. Read more or sign up here. 1st Day - The day will start with an early morning shoot at Gold King Mine, a rich textural environment with two models. This old ghost town has a rustic assortment of ramshackle buildings, hundreds of vintage cars and trucks, an old mine shaft and a sprawling array of rusted machinery that forever teeters between ruin and redemption. An amazing place for photography, especially with models and we will work with the light using reflectors and diffusers, HDR and more and understand how to work with your models in a unique environment. After the shoot, we’ll be having lunch with the instructor in the historic town of Jerome. After lunch, we will head off to shoot at picturesque Tlaquepaque in Sedona, which reflects the charm and mood of old Mexico. Working with and without a model, this second shoot will focus on capturing travel and portrait photography in this unique setting. 2nd Day - Lab at Yavapai College Sedona Center for Art and Technology. Photoshop – Tips, Tricks and Filter Magic which includes demonstration, lecture and Question and Answer of Photoshop & Raw workflow, layers and layer masks, retouching techniques, HDR, panoramas, the best plugins & much more. Emphasis will be on improving your travel images and also retouching techniques to make your portraits look their best. This is not a computer lab course; students should be prepared to take notes on instructor demonstrations. Please click on this link to read more about the Sedona PhotoFest Travel and Portrait workshop on my blog, which also has more photos and more info on the workshop.